De Museumwinkel.com contributes to the conservation of butterflies and the jungle in different countries. If you purchase a stuffed butterfly from us, you automatically support the local population and the conservation of nature in many countries. The mounted butterflies that we offer come from breeding farms in for example Suriname, Peru, Costa Rica, Thailand, Malaysia, Congo and Indonesia. The butterflies are bred in a protected environment and the farms create an eco- friendly butterfly habitat. The local people will have the opportunity to make money in the breeding companies, rather than heading out to catch butterflies in the wild. In this way, the farms stimulate the local economy. The breeding companies are not only positive for the butterfly population, but also help to protect the rainforests, plants, flowers and trees. They are not exposed to natural enemies and can safely reproduce. Most tropical butterflies have a life span about 1 to 2 weeks. After they die, they are dried and sold. 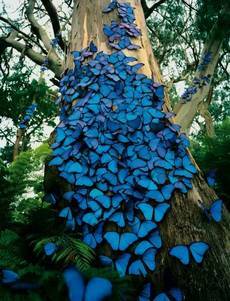 We support a butterfly farm in Peru: The Butterfly Pilpintuwasi Farm. Gudrun Sperrer's dream was to work with animals, including breeding one of the world's most beautiful creatures - butterflies. At Pilpintuwasi you will see the complete lifecycle and the impressive development of butterflies. With a host of volunteers who also love nature, they are conscious of the threats to flora and fauna, and hope that all of their efforts will enable visitors to increase interest in and love of our natural world and help with conservation efforts.